Gift giving doesn't have to be expensive. You can buy, bake and make gifts. The best gifts give a message that you care. One of my favorite christmas songs is by the Statler Brothers. It is called, "Something you can't buy". I know, I know, this is off the subject of lowering your cholesterol, but we have to be frugal with our money as well as our health. We need to choose gifts that will be appreciated without being too expensive. I saw this at Dollar General and thought that is was a wonderful gift for my friends who love their dogs. It was marked down from six to five dollars. There is a 15.3 X 10.2 cookie sheet with an adorable spatula and two cookie cutters. Since I have a few dog food recipes in my cookbook, I decided to buy a few of these, add a recipe of my own, and wrap them as gifts. 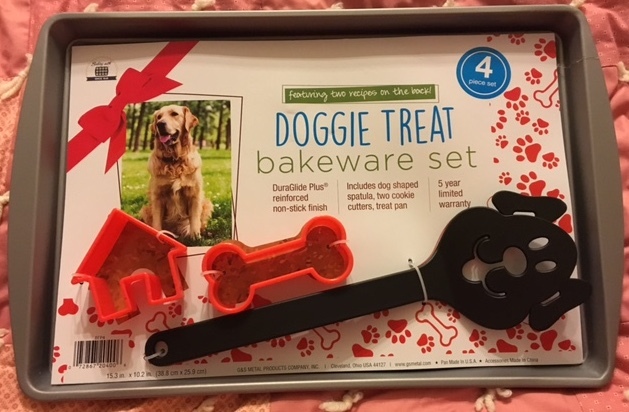 The set does come with two doggie biscuit recipes on the back. The recipes have some very nutritious ingredients. If the store sells out of these, you could just buy a cookie sheet and cute spatula. There are probably good cookie cutters at a pet store such as Pet Smart or even a discount store. The package would be cute with cookie cutters tied on with the bow. This recipe is from my family cookbook. Heat broth in small pan to 105 degrees. Sprinkle on yeast and stir to dissolve. Add flours, wheat germ, cornmeal, salt, oil and mint. Mix until smooth. cover with a towel. Let stand 20 minutes. Roll out until 1/4 inch thick. Cut with dog biscuit cutter or any cutter you like. Bake in a 350 degree oven. 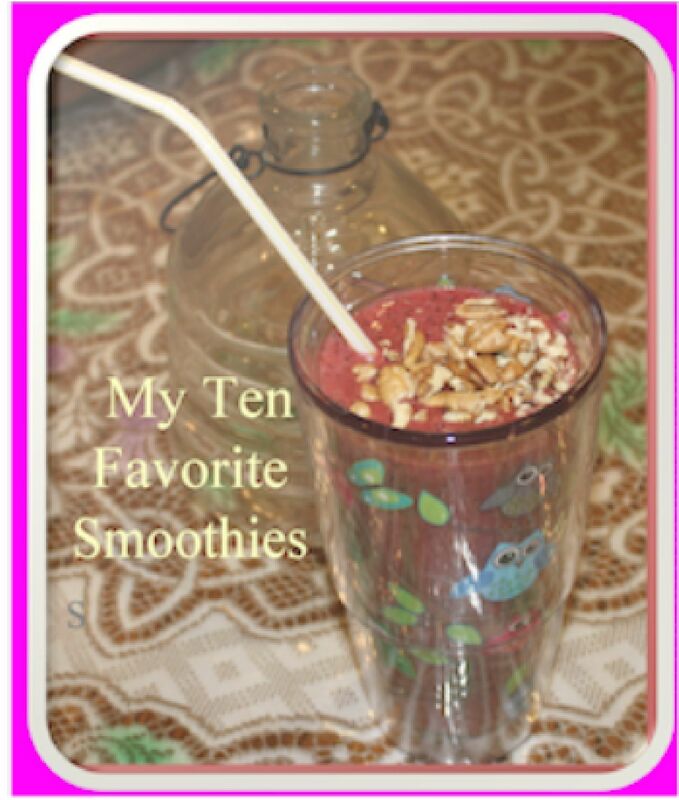 Put the recipe on any word program and decorate it. Punch a hole in the corner and add it to the package when you tie on the ribbon or bow. It would be even nicer if you add a small serving of homemade dog biscuits with your gift. Use the healthiest ingredients you can find. 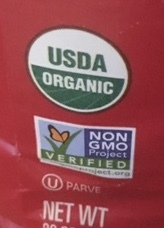 With organic, nonGMO flour and nuts, you can be sure to have healthier baked goods. A dough hook is good to knead your dough. Knead a few strokes by hand and divide the dough into two pieces. 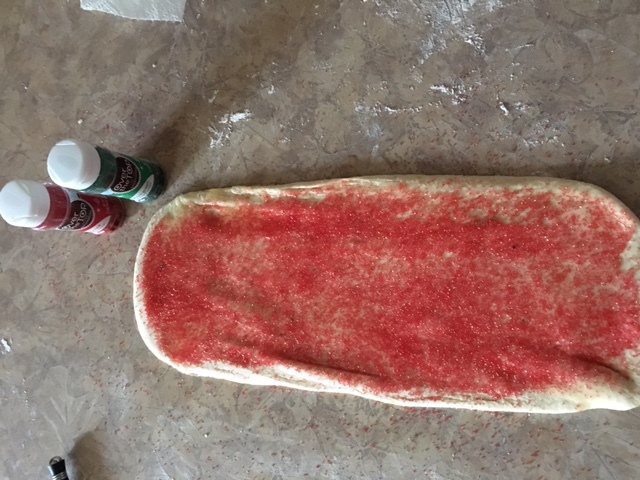 Roll to a 14 X 6 rectangle and sprinkle with sugar. 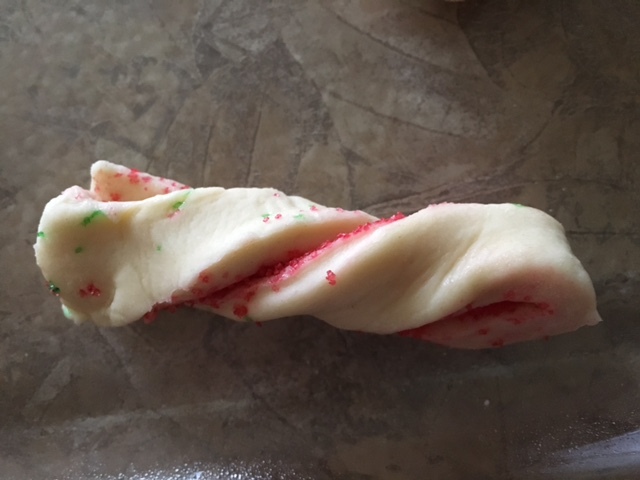 Fold the dough in half with the sugar inside and cut into strips. A twisted strip. Just put it on your pan. Make sure a lot of sugar is showing. 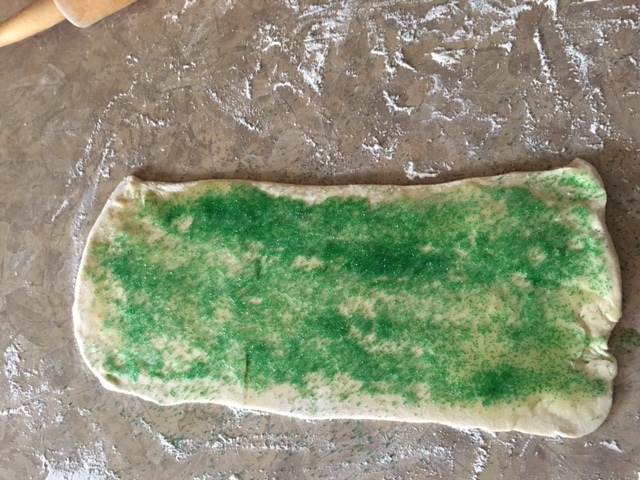 To make a Christmas tree, I start at the top and twist and add strips to the baking sheet until the tree is formed. Even if it is not perfect when you finish, after it has risen imperfections are usually gone. Sprinkle any color of sugar you like. If you don't have buttermilk, put 3/4 to 1 tsp. of vinegar in regular milk. The bread will be just as tasty. 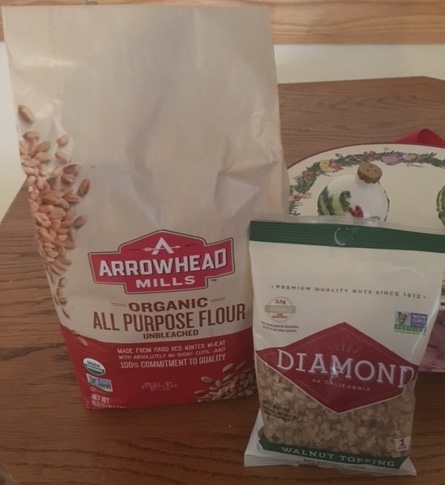 Combine 1¼ cups of flour, yeast, and baking soda in a mixing bowl. Stir with a wire whip. Heat buttermilk, water, 1/4 C butter, sugar and salt until warm, stirring to melt butter. The temperature should be between 95 and 115 degrees (too hot can kill the yeast). Add liquid to flour in bowl. Add egg and beat at low speed for ½ minute. Beat at high speed for 3 minutes. 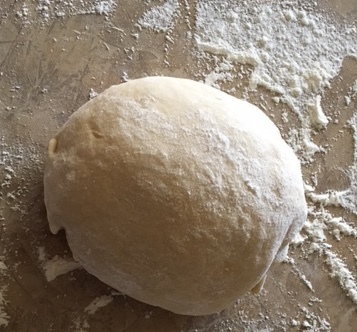 Add remaining flour, a little at a time, until you have a moderately stiff dough. Knead on a floured board for five minutes (or use dough hook in mixer). I use my mixer, but after five minutes, I knead the dough a few times on a lightly floured board so I can tell if it is springy. Cover and let rest for five minutes. 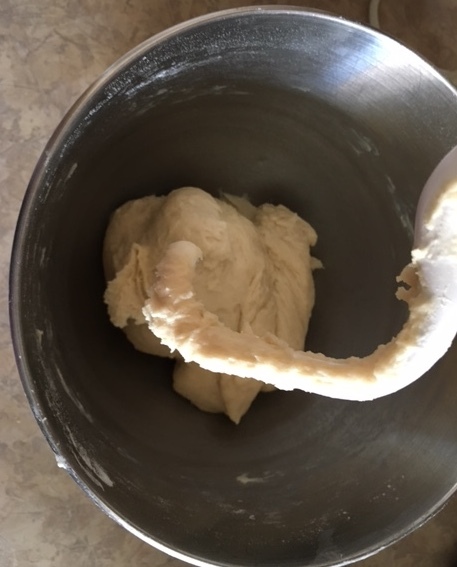 Separate dough into halves. Roll one half into a 14 x 6 inch rectangle. Spread with 1 tablespoon of softened butter. Sprinkle with 1 Tablespoon green or red sugar crystals (I don't measure. I just add it until it looks good to me). 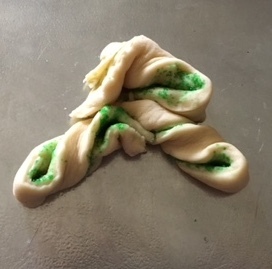 Fold in half (two longer sides meeting). Cut fourteen 1 inch strips. 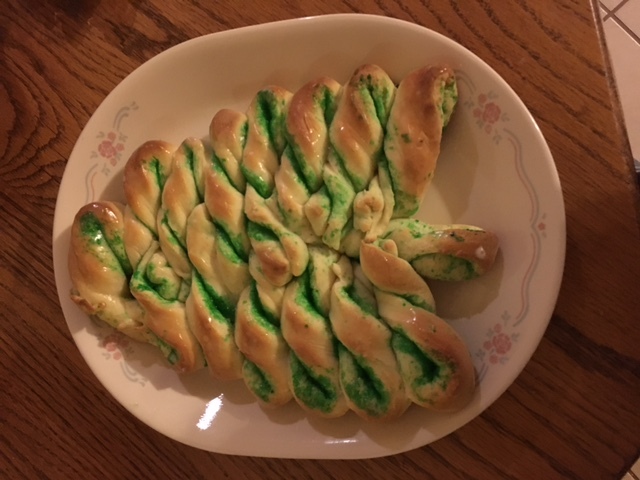 Twist each piece and arrange on a baking sheet in tree shape. Repeat with remaining dough, butter and more sugar crystals. Let rise for about an hour. Bake in a 375° oven for 15 minutes. Cool. Brush with confectioners glaze if desired It gives a nice shine. Cool on wire rack. Preheat oven to 325 degrees. Mix butter,1/4 C powdered sugar, and vanilla. Gradually stir in flour. Add nuts. Roll into small balls. Bake on an ungreased cookie sheet until firm but not brown. Roll gently in powdered sugar. Cool on racks. 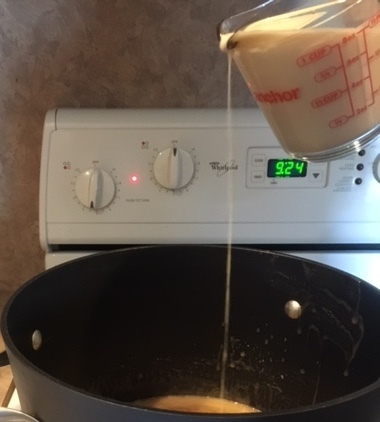 Mix sugar and butter in a mixer. Add eggs and flavorings.Add combined dry ingredients. Blend. Refrigerate the dough for at least 2 hours. Roll and cut into circles. Bake 7 to 8 minutes in a 375 degree oven on a lightly greased cooky sheet until lightly browned or until just set good. Each circle will become a santa face. See below. 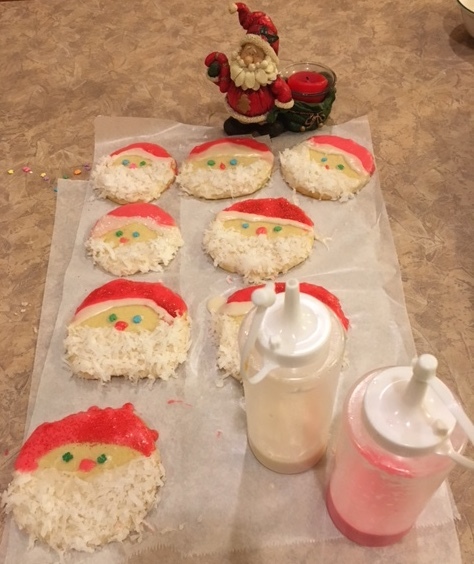 If you don't want to bother with frosting santas, just use any cookie cutter and sprinkle with glitter or frost or eat plain. Delicious cookies. Frosting in a plastic squeeze bottle makes the work go faster. Put white icing for a beard as above. Sprinkle the beard with coconut. Then add a red hat with a white "fur" trim. Add candy or frosting for eyes and a nose. Put your frosting in plastic bottles and squeeze on. It is easy to control the flow if it is not too thin. Just use about a cup of powdered sugar and 2 tablespoons of milk. Add flavoring if desired, or use your favorite icing recipe. Sift 3 1/4 C cake flour. Add 3 teaspoons baking powder, 1/4 t baking soda, 1 t of powdered cloves and 1 t (or as desired) ginger, 1 scant t cinnamon, and 1/2 t salt. In another bowl, combine 1 beaten egg, 1/4 t allspice, 1 cup brown sugar, 2/3 C dark molasses, and 1/2 C butter. Mix well. Stir liquid into flour-spice mixture and mix dough until all of the flour has been worked in. You will need to use your hands for this. Divide the dough in thirds. 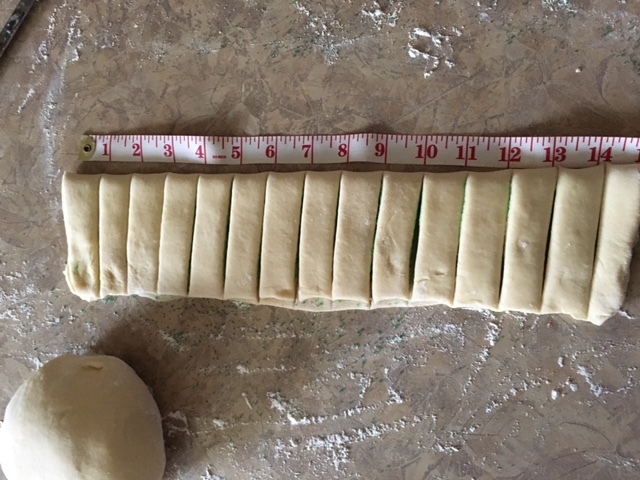 Roll the first half to 1/3 inch thickness. Cut the gingerbread cookies with a floured cutter. Transfer to baking sheet and decorate with raisins, candied fruit and nuts. Bake at 350 degrees for about 12 minutes or until lightly browned. Repeat with remaining dough. You might want to use frosting to make your gingerbread people clothes and add candy and fruit for eyes. I make mine with a heart. These are soft cookies so handle with care. 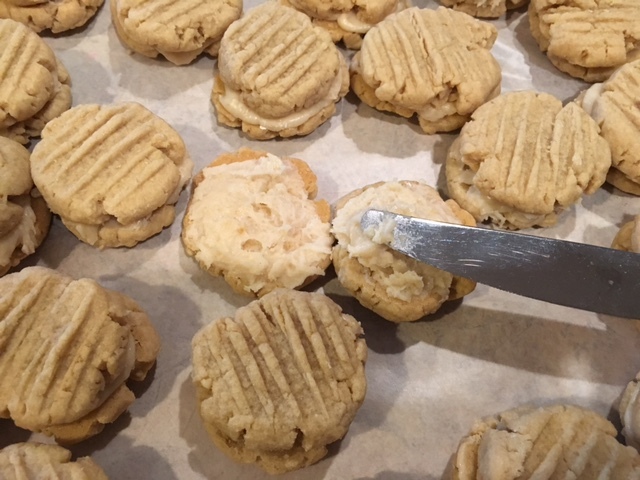 These are sandwich cookies--put together with a tasty caramel icing. I am not sure where this recipe came from. I have made it for years. It may have originally been a Pillsbury Bake Off recipe. They have such fantastic recipes. It is good anytime. It is especially nice at Christmas. Cream butter and sugar. Blend in egg yolk. Add flour. Chill. Shape into small balls. Place on ungreased baking. Flatten to 1/8 inch with a fork. Bake at 325 degrees for 9 to 12 minutes. 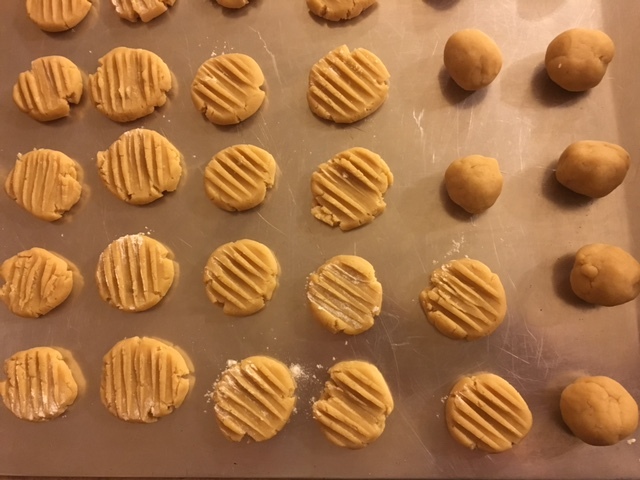 Place the flat sides of two cookie together with browned butter frosting. Frosting: Brown butter in saucepan.n Remove from heat. Blend in sifted powder sugar. Gradually add vanilla and cream until spreading consistency. Candy for Christmas is a must - hard candy, chewy candy, soft candy, all candy. It is very important to only put one cup of milk in the candy when mixing ingredients. 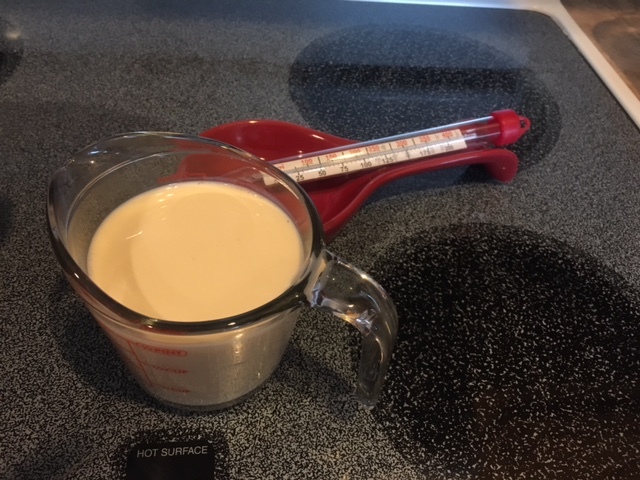 When you pour the cream, make sure to pour very slowly so that the mixture continues to boil. Mix all ingredients except 1 cup milk Let come to a good boil, stirring well, then slowly add the other cup of milk. Do not let the mixture stop boiling while adding milk. Cook until it forms “soft ball” in cold water or registers 238° on a candy thermometer. Remove from heat and beat with a mixer. Add 1 pound whole pecans. 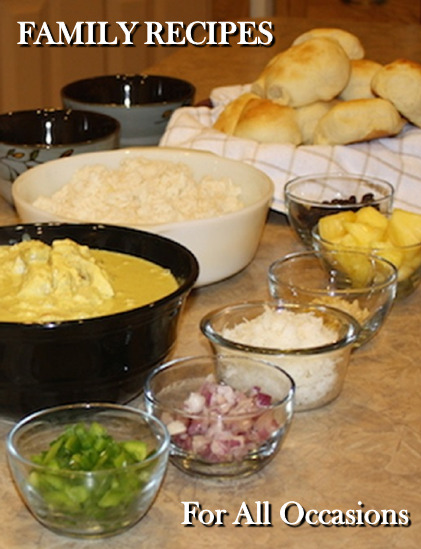 Pour into 9 x 13 inch buttered pan and place in the refrigerator overnight or several hours. 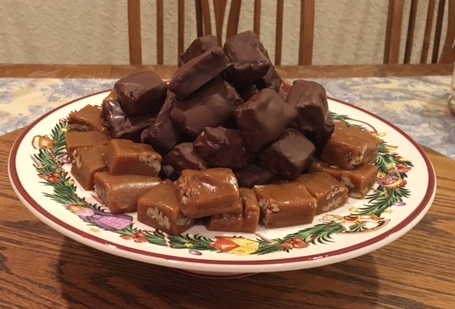 Cut in small squares and dip in chocolate dip. If your chocolate is too hard to cut, leave it sitting out for a bit. It is easier to cut if you loosen edges and then cut the candy into fourths and take out these pieces. Put them on a cutting board and cut each fourth into small pieces. The candy will soften a little as it sits. If you don't want to dip it, the candy is wonderful plain. Chocolate dip: It is easier if you buy Wilton's chocolate as it is made for dipping. You can also melt chocolate chips. Don't get water into chocolate while cooking and dipping as it can spoil the dip. There are also probably plenty of good dip recipes online. For the chocolates above, I melted a package of Ghirardelli 60% Cacao chips in the top of a double boiler. We like our chocolate less sweet. For sweeter chocolate, use semi-sweet. If you don't want chocolate, don't dip them. The candy is nice without it. Error report: Okay, I made this twice this month. I think I did something wrong the second time, because I turned up my heat toward the end and the butter separated from the mixture. I am here to tell you that if this happens to you, don't throw it out. I just kept right on cooking until the soft ball stage, and then I poured it into the mixer bowl and mixed away. Voila! It was not ruined at all but mixed together and was perfect. I put in the nuts and proceeded. A basket filled with things your friend or family member will like. 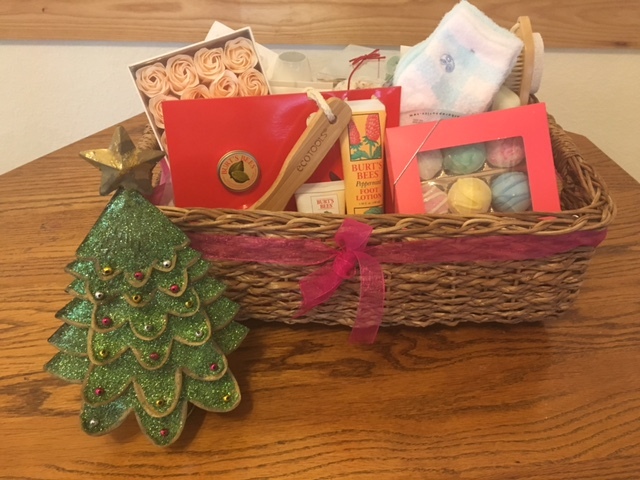 This basket has bath salts, special shampoo, a brush for your feet with a pumice stone, special soap, aloe socks...all kinds of things to help someone relax in the tub and out. You can even add a favorite chocolate bar, a book and maybe some candles to the gift basket. Just think about lying in the tub soaking in relaxing bath salts while reading your book and eating your chocolate as the candles burn. Lovely! Think about what your friend might like. 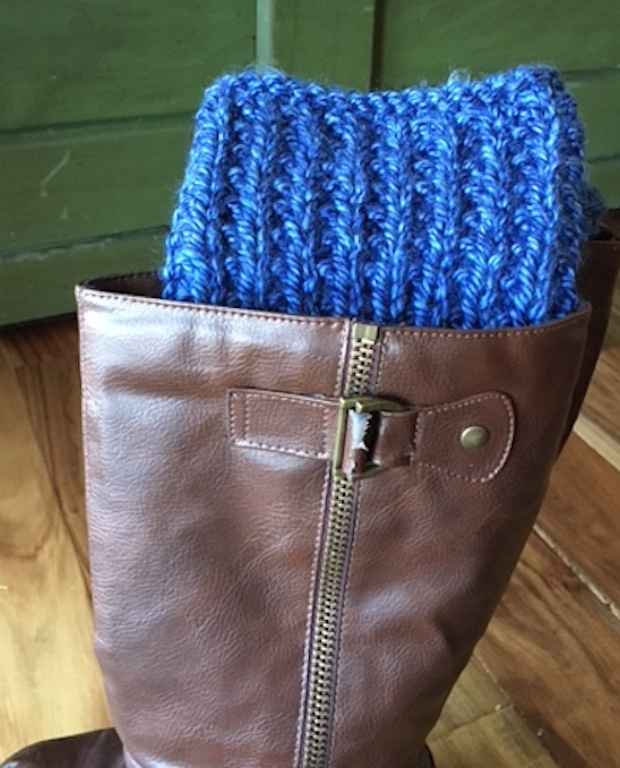 You could do a basket with special things for an avid baker or for your friend who loves to read. A basket doesn't have to be just for females. Just think of what the receiver likes and start looking around. Men go to the spa too and there are products you can put in his basket for a spa evening also. It is also a good gift for a birthday or Valentines day. Use your imagination. If the person you are giving a gift to has a collection of anything, they will love an addition to that collection. 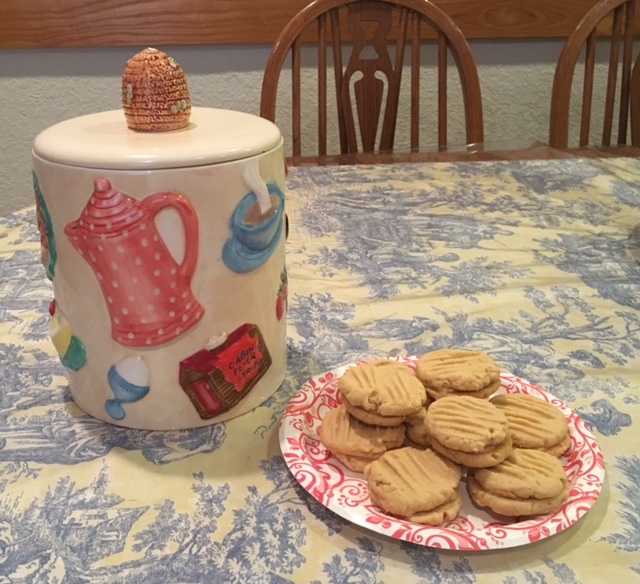 My husband always buys me cookie jars. I also have a very large cookbook collection. Many of those are from garage sales or Goodwill or the Salvation Army Store. Some of them are priceless, but none was very expensive. My favorite is from 1924 with pictures of a "modern" kitchen complete with an icebox. They can be purchased very reasonably at antique or "junk" stores. There are also good gifts at garage sales. There are so many things people collect. Some people collect stamps, some collect santas or angels or bells. Whatever it is, makes a wonderful gift. I have discovered that a few of my friends collect nativity sets. 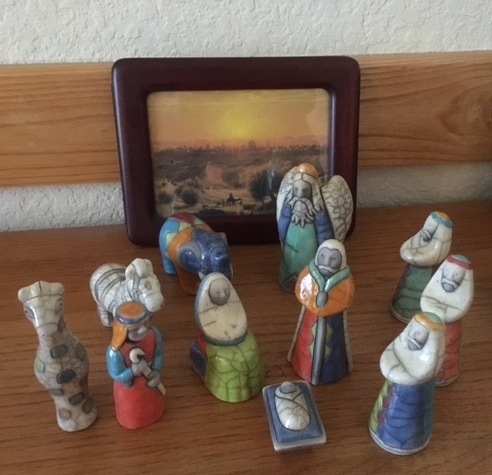 My daughter brought this nativity set to me from South Africa. The animals are so unique. I love it. I need to have my husband build a stable setting for me to put these in. I don't have a collection of nativity sets, but it would be nice. 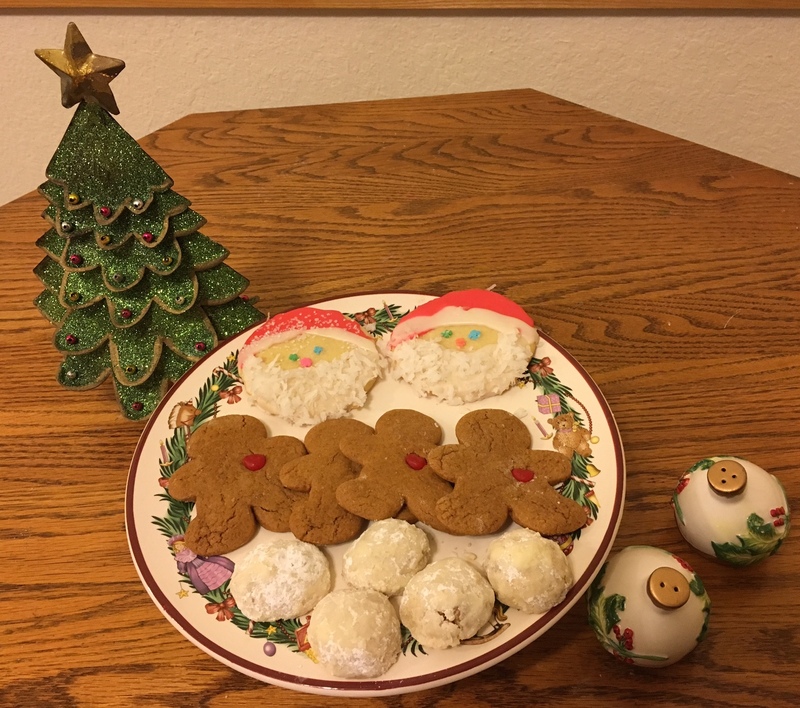 Share your holiday recipes or comments below. why it is your favorite. 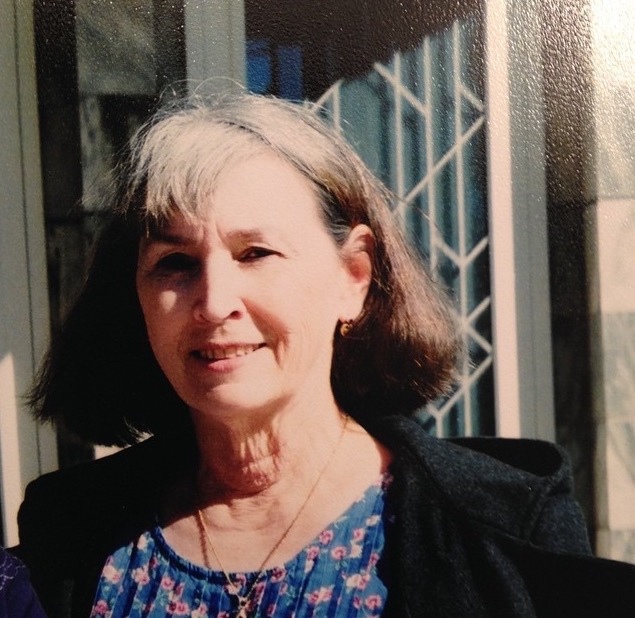 Do you give special inexpensive gifts to family and friends? Tell us about them. "The best gift is a gift of yourself."